Like many knitters, I try to take a project along when I’m on the go. 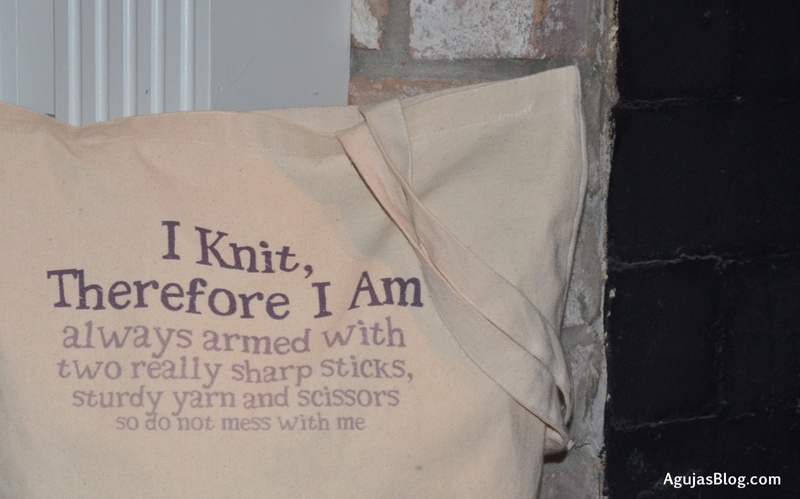 I sometimes tote my WIPs around in this bag by Crazy Aunt Purl available at CafePress. It’s roomy with long handles and it’s darn funny. I recently received this bag and it is now one of my favorites. It was a gift from my sister who also sells them (full disclosure). 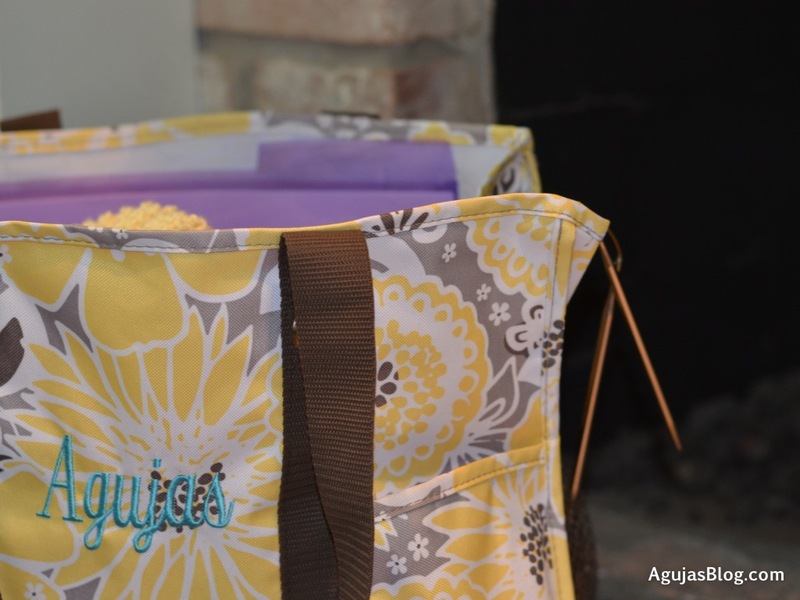 It’s from a line called Thirty-One Gifts which specializes in home-based sales of monogrammed baskets, bags and other organizational items. Here’s a look inside with my current work in progress. You can even spot my red tool bag tucked in there. 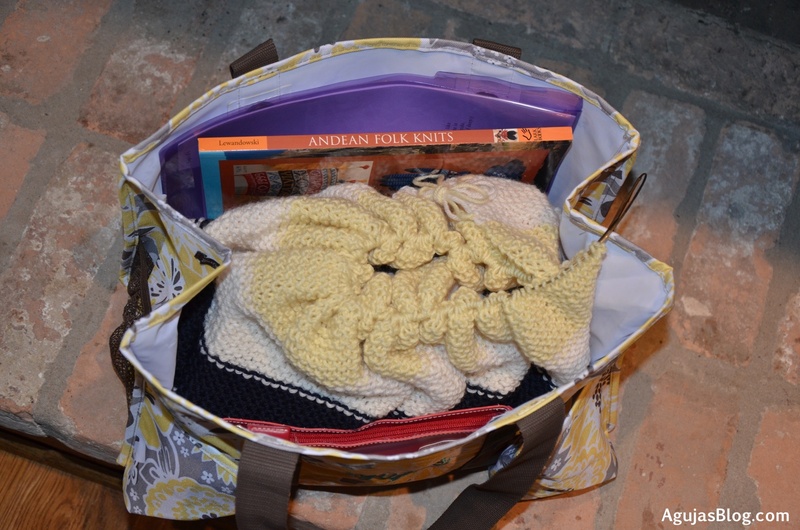 I’ve tried many other bags and was never quite satisfied with them – yarn catches on zippers, lack of extra pockets, easily tips over, or not very attractive. So far, these two are my favorites. I like the one about not killing people too. Cracks me up every time. Thanks. They do their jobs well. They both look good. I’m still working through my bags. I know that one day I’ll meet the perfect one. It’s a very personal thing selecting the right bag. They’re both great bags, and ordering from the US is such an expensive habit, given UK import tax, darn! Yes, I agree that the bag has to be just right. I’m still looking for the perfect bag. I’m gonna find it soon, I am! Lovely pictures. I’ve gone through many to get to these two. Frankly, the tote bag isn’t ideal but I love the saying so that won out. Anything that makes me smile is good. That bag is hilarious! I don’t knit but I’m still tempted anyway! It always cracks a smile for me! They have other items on Cafepress with that quote – t-shirts, cups, etc. 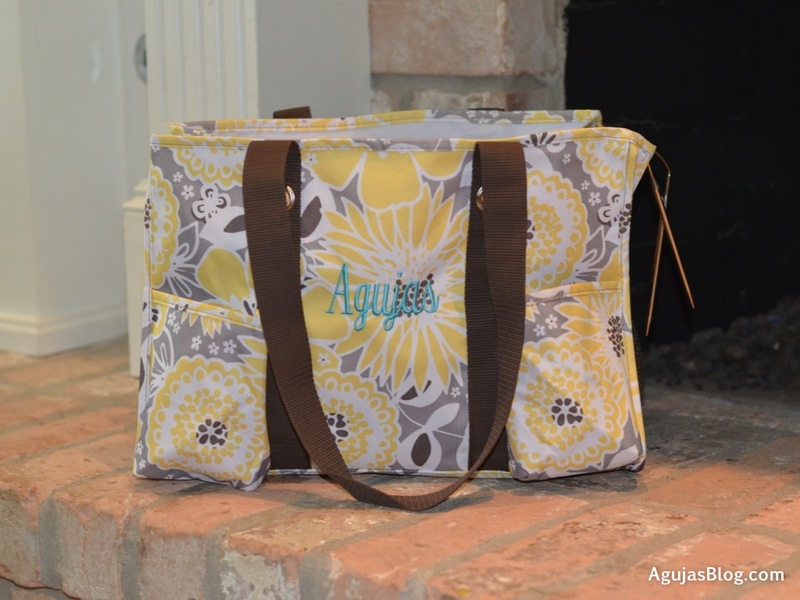 Love it – thanks for telling others about it (and showing great pics of it too)! It’s fun, creative, relaxing …. By the way, I love your photographs. They seem to capture a moment right before it passes. sorry to come in late, but what are WIPs? Works in Progress. You say it often enough, it becomes an acronym! love it! I thought it might be something about knitting ‘pins’. Thanks. So far it’s working great. On th subject of bags I have to agree that little cosmetics bags a perfect for carrying tools and notions around. A number of members of my knit night group feel the same way! And your project bags look great. I think they’ve eased up a bit on having knitting needles on board. For a while there, knitting needles were specifically prohibited. Personally, I think you can do more damage with a really sharp pencil. I adore the saying on the bag at the top of this post. When I read it, I had to have it. It still makes me smile every time. Nice price for those bags! I’m going…. I thought they were reasonable. I’ve gotten compliments on the yellow one and have used it for a beach trip and waiting rooms for doctor’s appointments. They are, very much so. Practicle, attractive. fun, and reasonable. better yet, they support the artist, not the conglomerate. win-win! I love that bag. So funny! Also That Andean Folk Knits book looks really interesting. My best friend, who is currently teaching abroad in Peru, recently shipped some alpaca fleece to me that I need to spin and knit into something, and I think I may have to check out that book! Thank you for the ideas! That’s great! The Andean book has great pictures and many patterns. Many of them are for intarsia knitting which I’m not that good at. It has some cute doll patterns as well. Can’t wait to see what you make with the fiber!